Ward Hadaway has beaten off international competition to scoop a national Innovation Award recognising the firm's approach in providing technology focused legal services. The firm’s Healthcare team, including Jeffrey Keeble, Melanie Gavin, Stuart Craig and Saji Bratch, were announced the winners at the Legal Week Innovation Awards 2018 on May 25th at a prize-giving ceremony at The Brewery in London. The awards, which are hosted annually by Legal Week, in association with sister titles The American Lawyer and Legaltech News, set out to celebrate the contribution made by lawyers and non-fee-earning staff to the success of their businesses. 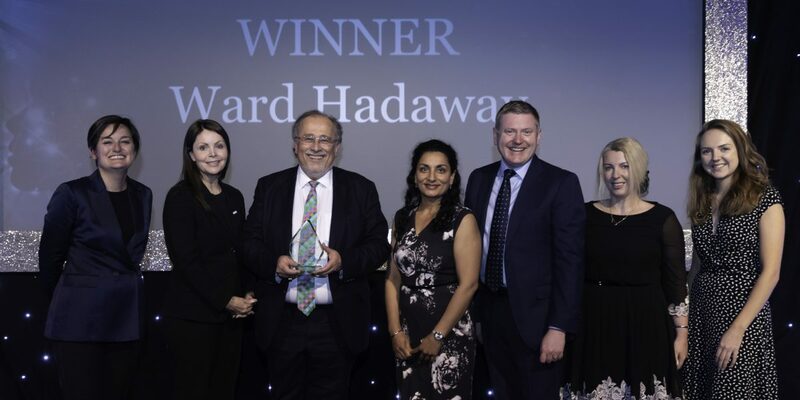 Ward Hadaway’s Healthcare team beat off international competition from six other law firms including Addleshaw Goddard, CMS & Sainsbury’s In-house team, Bird & Bird, Dentons, Norton Rose Fulbright and Shoosmiths to come out on top in the Client Management Innovation category. Judges commended the team’s work with a large NHS organization led by Melanie Gavin and supported by the whole Healthcare team at Ward Hadaway. Ward Hadaway developed the knowledge system in partnership with the NHS following a legal efficiency review the firm undertook for one Trust. This included interviews with clinical and management staff. By reducing duplication and saving time, it allows more time to be spent on patient care. Melanie said: “We are extremely proud that Ward Hadaway has been recognised for its role in client management innovation and helping implement this online tool which will ultimately help our clients identify new ways of working and increase efficiency and effectiveness. Ward Hadaway’s Planning team was also a finalist in the flagship Future of Legal Services Innovation Award category for its unique market-leading planning service for developers. The visual Title Overlay Plan (TOP) service helps developers, particularly housebuilders, identify and understand problems and constraints with new sites they are looking to acquire and develop at an early stage. New managing partner Martin Hulls added: “To see our healthcare team win this award for Client Management Innovation in the firm’s 30th anniversary year is a great example of how we continue to use technology for the benefit of our clients in new and innovative ways. We are exceptionally proud to receive national recognition for our innovative work with the knowledge system across the healthcare sector as we continue to grow as a business and commit to launching it within other Trusts in cities nationally.